● Custer started second, finished seventh and earned four bonus points. ● Custer piloted the Haas Automation Ford Mustang in the second and third position for the majority of Stage 1. ● After a lap-seven caution, Custer restarted the one-lap shootout from second place until he drove the Haas Automation Ford hard into Turn 2, resulting in a flat-spotted tire. ● He fell back to the seventh position before the stage ended to earn four bonus points. ● After the stage ended, Custer pitted for four tires, fuel and air pressure and chassis adjustments. ● Custer started 11th, finished seventh and earned four bonus points. ● Custer powered the Haas Automation Ford into seventh place when the green flag waved to start Stage 2. ● He ran inside the top-10 for the entirety of the stage. ● Custer pitted when the stage concluded for four tires, fuel and adjustments. ● Custer started 13th, finished fourth. ● Custer quickly climbed to eighth place and was promoted to fourth when regular-season championship contenders Justin Allgaier and Christopher Bell made contact in front of him. 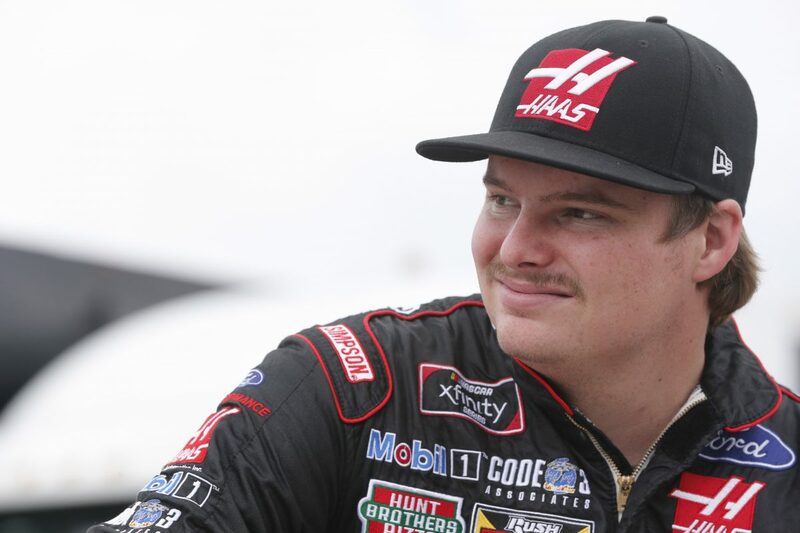 ● On lap 28, Custer steered the Haas Automation Ford off the track to avoid a multicar spin. ● He pitted for four tires, fuel and air pressure adjustments during the caution period. ● The California native restarted in 15th place and drove to sixth until a lap-37 caution. ● With three laps to go, Custer was promoted to third when the second and third-place cars spun off the track. He fell one position before earning his first top-five at Road America. ● This marks Custer’s 19th top-10 of the season and first at Road America. ● This marks Custer’s 9th top-five of the season and first at Road America. ● Custer earned eight bonus points in the Road America 180 at Road America. ● Seven cautions slowed the race for 10 laps. ● Justin Allgaier won the Road America 180 to score his ninth career Xfinity Series victory, fourth of the season and first at Road America. His margin of victory over second-place Matt Tifft was 5.403 seconds.